LAS VEGAS -- Contrary to many predictions, the U.S. Food and Drug Administration (FDA) did not release its final deeming regulations during last week’s NATO Show, nor did the FDA’s Center for Tobacco Products (CTP) director, Mitch Zeller, provide further clarity on when that announcement would be made. Zeller has repeatedly commented on the need to acknowledge and establish a spectrum of risk when it comes to nicotine. 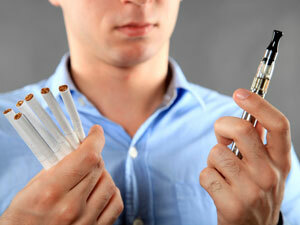 “The e-cig debate has been emotional, divisive and is not advancing common ground on harm reduction,” he said. “Where and how can we apply the principle of harm reduction to this debate and find common ground? It’s been horribly ineffective to date. Initial data from the FDA’s long-term Population Assessment of Tobacco and Health (PATH) study suggest the vast majority of minors are not accessing tobacco from retailers, but from “social sources” (older siblings, friends, parents or even strangers). Specifically, 86% of 15- to 17-year olds obtained cigarettes from social sources, while 89% of 15- to 17-year-olds obtained e-cigs from social sources. Though Zeller agreed that social sources are a big problem, he didn’t quite have an answer on how the FDA would go about addressing it. Zeller went through several studies the agency is conducting in an effort to enact science-based regulations. Perhaps the most retail-centric example came from research the FDA recently completed on point-of-sale (POS) marketing. “This is one of those examples where we really need to know more than we currently do about the relationship between point-of-sale marketing and adult attitudes toward quitting,” he said. While Zeller did not provide additional information on when that data would be made public or how the FDA might regulate POS based on the findings, he said the agency can regulate these kinds of marketing materials.